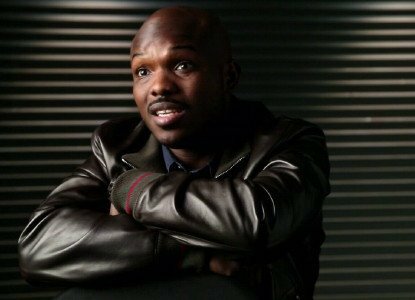 Welterweight contender Tim Bradley (31-1, 12 KOs) says he’s going to be moving up in weight to 154 to target the top fighters in that weight class. He’s specifically interested in fighting Saul “Canelo” Alvarez and Miguel Cotto. Besides those guys, Bradley says he’d like to fight Floyd Mayweather Jr, because he’s already fought Manny Pacquuiao and Juan Manuel Marquez in the past. Interestingly enough, Bradley doesn’t see Mayweather as being the toughest opponent for him. He doesn’t say who’s tougher, but you’d have to assume he means Pacquiao, Cotto or Canelo. Bradley’s coming off of a 12 round decision loss to Pacquiao in his last fight in April of this year in a one-sided loss. Bradley previously beat Pacquiao by a controversial 12 round decision in 2012, so you can arguably say that Bradley probably should have at least two defeats on his resume. Additionally, Bradley came very close to losing to Ruslan Provodnikov last year in their fight in March of 2013. Bradley was knocked down and badly hurt in the 12th round. Bradley’s promoter Bob Arum says he wants to match him against the winner of the Canelo-Cotto fight. To make that happen, Cotto would have to be the one to win that fight, because Arum has no control over Canelo. He could definitely ask Golden Boy president Oscar De La Hoya if he’d be interested in matching Canelo against Bradley, but given Bradley’s lack of a fan base, it’s doubtful that De La Hoya would green light that fight. Mayweather probably won’t ever say yes to a fight against Bradley, because it would mean that he’d have to do business with Arum. Bradley kind of tied his hands when he re-upped with Top Rank last year. The contract virtually makes it impossible for Bradley to fight Mayweather, because he’ll likely be retired by the time the contract runs out, and that’s if Bradley doesn’t re-sign once again like Pacquiao recently did.